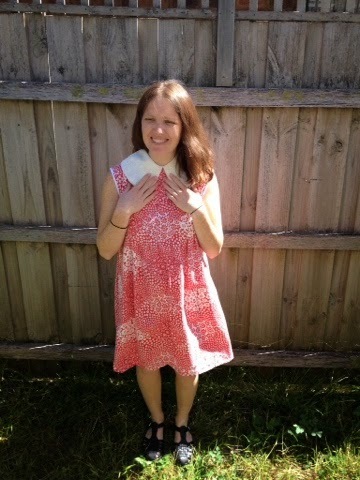 Butter and Buntings: Yay another maternity dress! 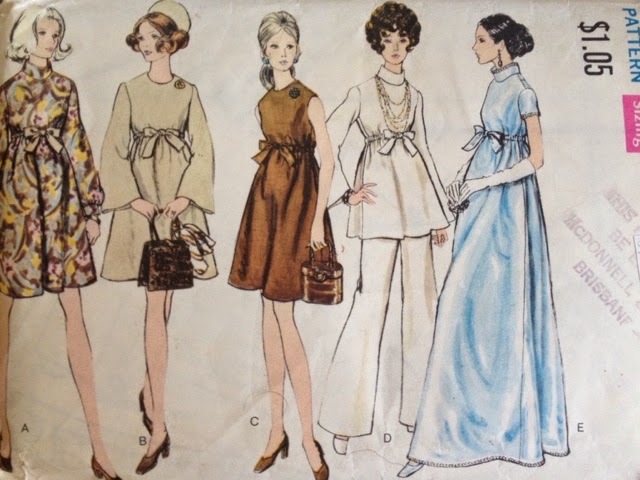 Wow, I'm on some sort of sewing frenzy. It so much fun cos things are actually working! And the patterns I'm choosing aren't proving too difficult yet! 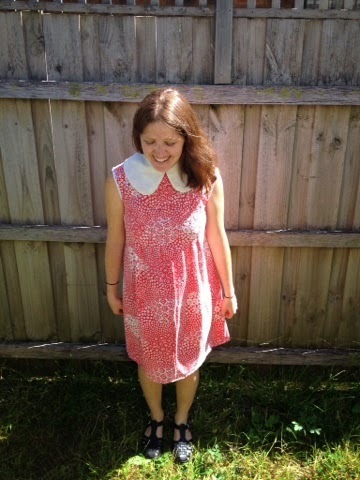 I made the next dress on my to do list and I love it! It will actually be wearable even when not pregnant as a comfy summer dress so at least I don't have to pack it away once Bub comes. I used a vintage sheet for this one, as well as an opshopped zipper. Here's some really professional pics of me wearing it! 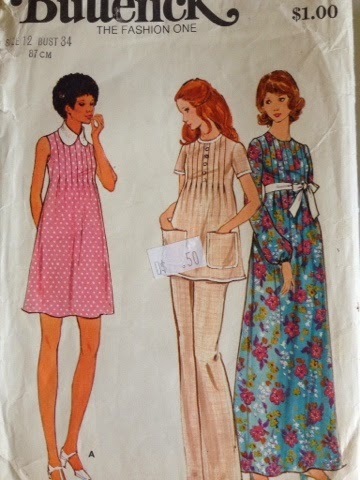 This is the pattern I used to make the dress. Now I just need to make this cute brown one. 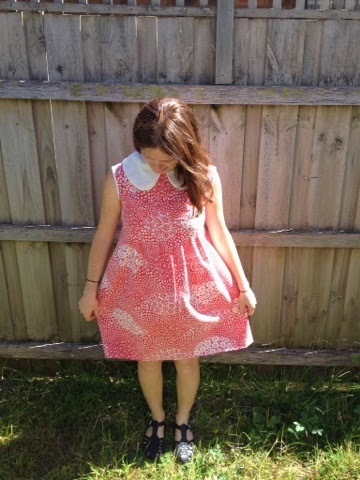 Yay for handmade dresses! 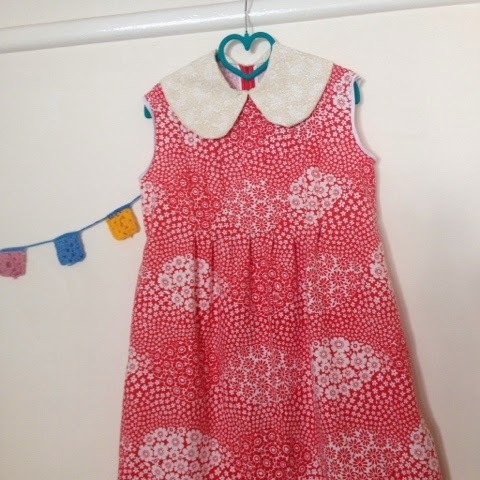 I'm so excited about all the ladies who have signed up to my handmade dress swap. Sign up is still open but I will be closing sooner than planned so if you want to sign up perhaps do it soon! Ok, well this sunshine is amazing, we are going to go explore the seaside.